We’ve launched our membership drive for businesses and readers and hope that you will sign on. Already, some of you have questions so we hope this will answer them. If you have more questions, please send them to info@missionlocal.com. Are you a non-profit? In the summer of 2018, we became a fiscally-sponsored project of the San Francisco Public Press,(EIN: 27-1275141) a 501(c)3 nonprofit organization. Why a fiscally sponsored project and not your own non-profit? We may eventually form our own nonprofit, but at this point, our budget is not huge and others in this world advised that we would be better off as a fiscally-sponsored project. We chose the San Francisco Public Press because we like what they do. Yes, they charge a fee, but that means that your donation is going wholly to support journalism. Why are there different levels? We are thrilled when anyone signs up for the Civic Duty Level at $10 a month or $120 a year. If all of our loyal readers did this, we would be self-sufficient. We offer other levels because there are some in the community who have the resources to pay more and we wanted to make that opportunity easy. What if I just want to donate, but am unable or unwilling to commit to any of the membership levels? Of course, we’re happy to accept any support in any amount! 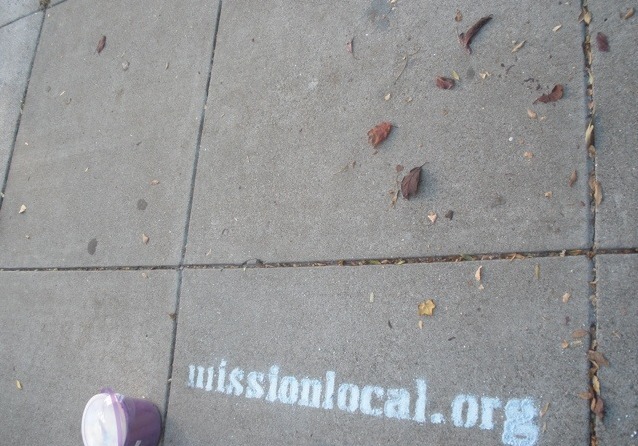 And if you prefer paying by check, please make it out to San Francisco Public Press and put Mission Local in the memo. You can send checks to 2301 Mission St, Suite 104, San Francisco CA 94110. Thanks for the info, Lydia, and good luck. I’ll totally pay money and sign up if you find a way to get rid of Sam/John/Whatever his name is. He is so noxious, I’ll pay for a community news portal where actual reasonable and non racist neighbors can talk with each other without getting drowned out! Hi, thanks for your comment. We are doing our best to keep everyone to two comments and to delete comments that are racist and unhelpful to the discussion. But we welcome your suggestions for better ways to manage the comments. Someone suggested that we ask anyone to pay for a second comment. Other ideas? Someone is also looking into a few add-ons that would allow readers to vote comments up and down. Thanks! I wish I had more ideas — I will probably sign up shortly anyway as I feel that missionlocal provides really valuable journalism. If anything I’d want some ways to get more of the neighborhood in a forum talking to each other productively. Maybe a subreddit or a reddit style plugin out there somewhere? I’ve searched all over the site and I can’t find any contact info. Please consider putting an email address on the footer of every page. Wanted to give you a tip that the old hardware store on Mission St run by those 90 yr old guys who sold hamburgers out of it during the depression is closing.